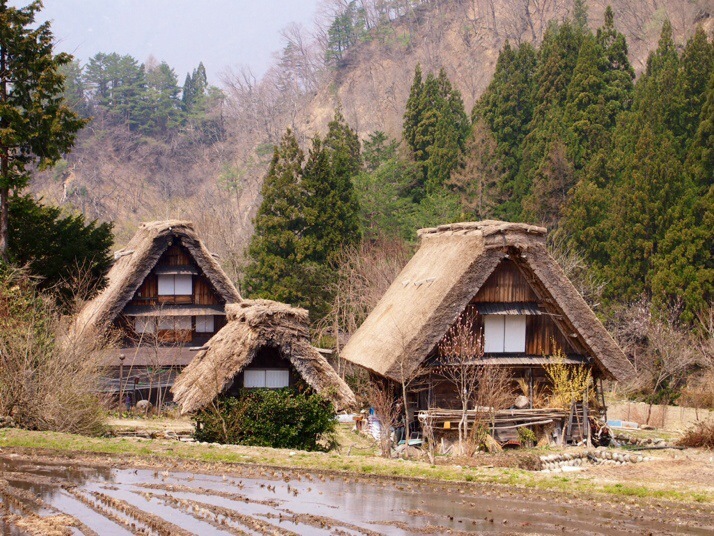 The name gasshō comes from the Japanese word for prayer, because the shape of the roofs was thought to resemble hands clasped together. We had hoped to spend the night in one of the farmhouses, many of which are now running as guesthouses, but unfortunately our planning was not far enough ahead of the game and all were fully booked for dates that fit into our schedule so a day trip was our only option. We took the return bus (1.25 hours each way) from Kanazawa although it is also possible to visit from Takayama (1 hour each way). 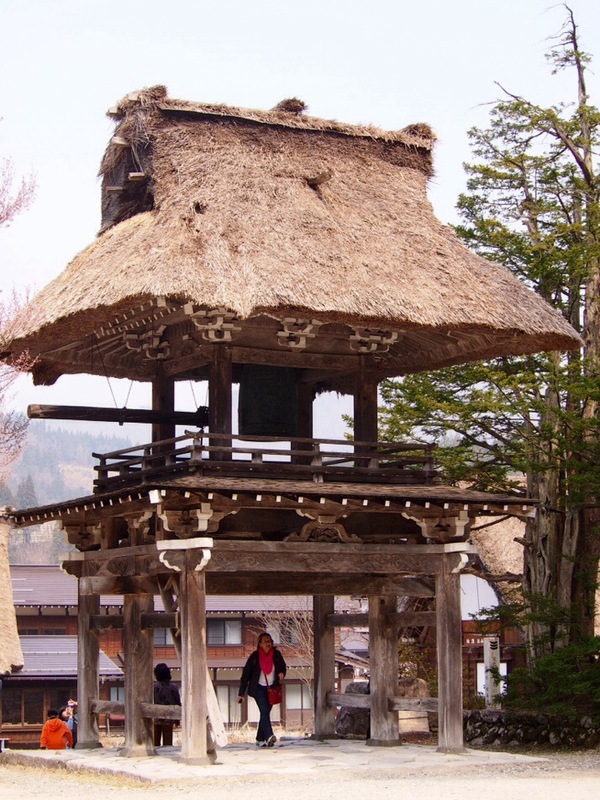 Even the temple’s bell tower is thatched! 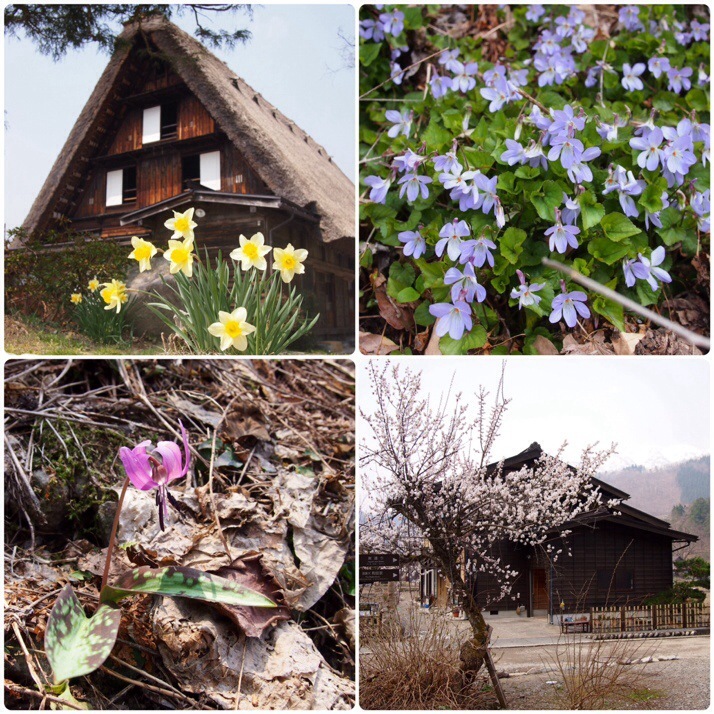 Because the village is situated up in the mountains, snow was still visible on the surrounding mountains at our visit in mid-April and signs of springtime were just beginning to show through. Seeing lots of daffodils everywhere reminded us of spring at home. The day was clear so we walked the 20 minutes up the hill above the village to get a good look at the view down the valley. This is where the castle was situated although nothing remains of it nowadays. 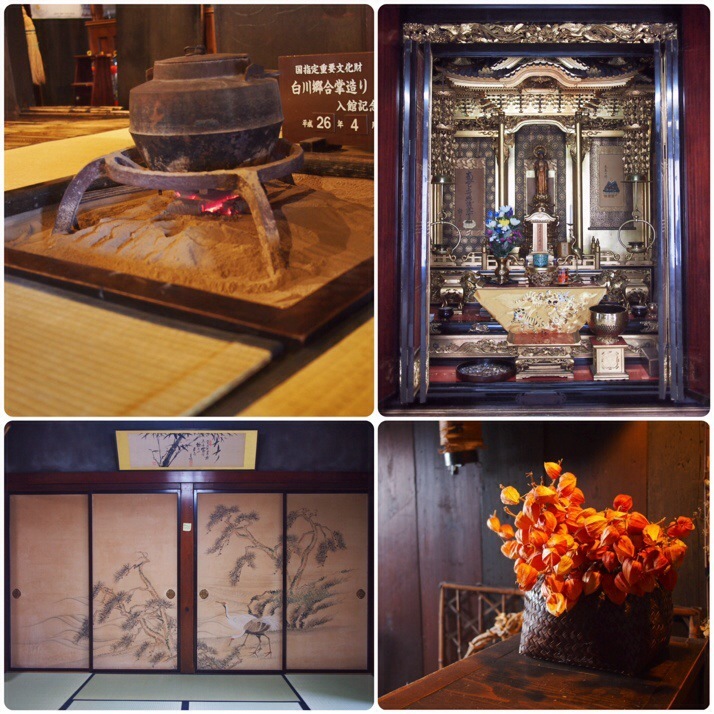 We were able to have a look around one of several houses that are open to the public, Wada house. 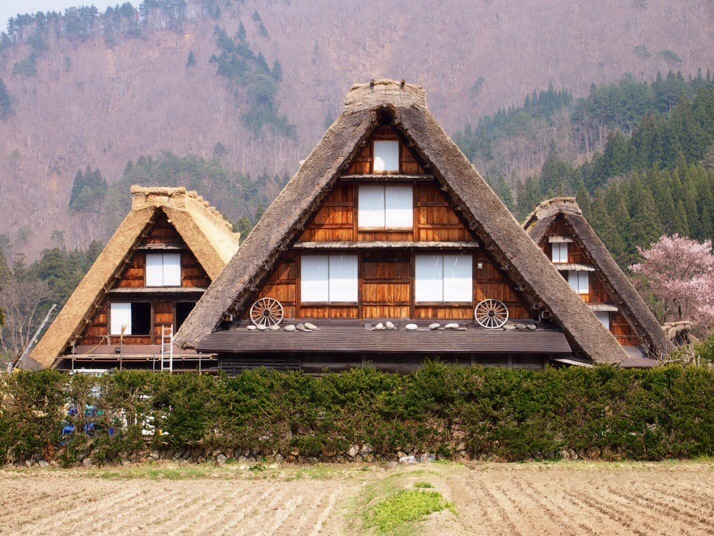 Both this house and the gasshō-zukuri house that we saw at the Hida Folk Village in Takayama were huge. Much bigger than I would have expected for a single family. I suppose several generations of the extended family lived together. 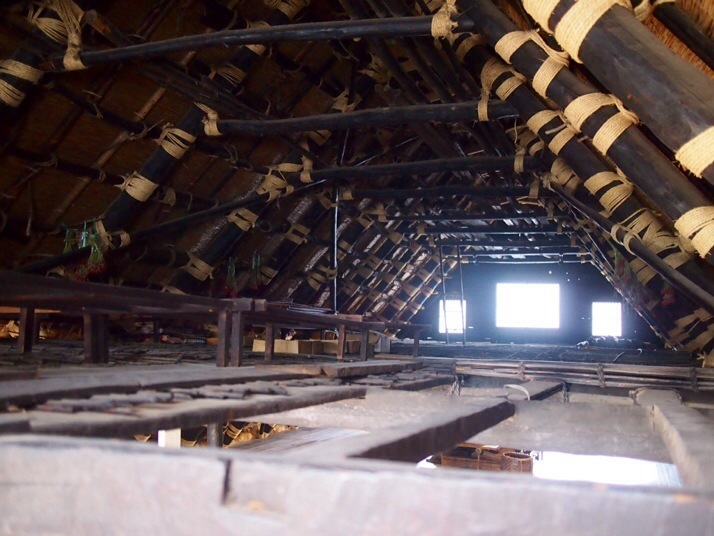 It was interesting to get up into the roof and see the construction from the inside. Most of the houses have at least two levels of attic space which were utilised for storage and sericulture (silk production). 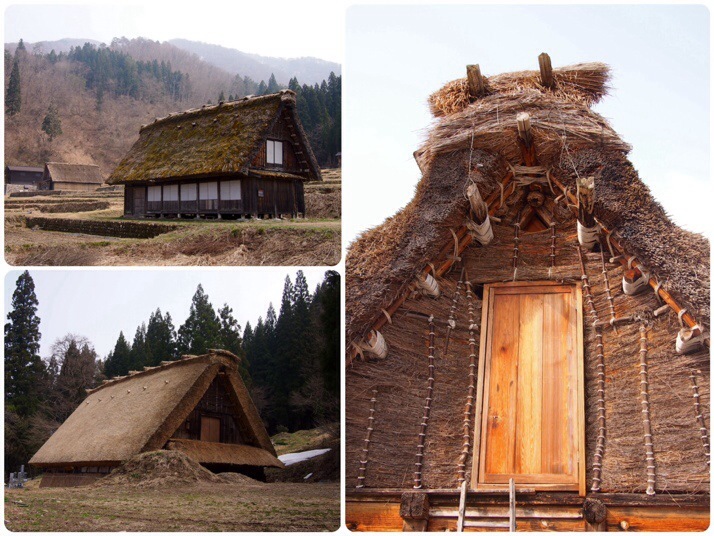 As we walked around the streets we noticed thatch in various states of repair with some roofs looking threadbare and mossy while others were still golden and looked quite new. 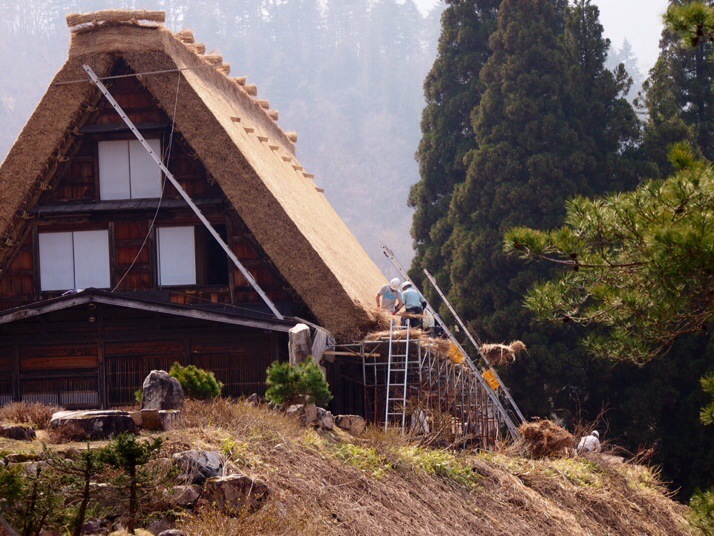 We even saw one house being rethatched. As bus seats are limited we had reserved our return seat on almost the final bus of the afternoon giving us about six hours to explore but actually, even at our slow, meandering pace that was far too long. 3-4 hours would have been more than long enough to walk the whole village including the viewpoint and go into a couple of the open houses. 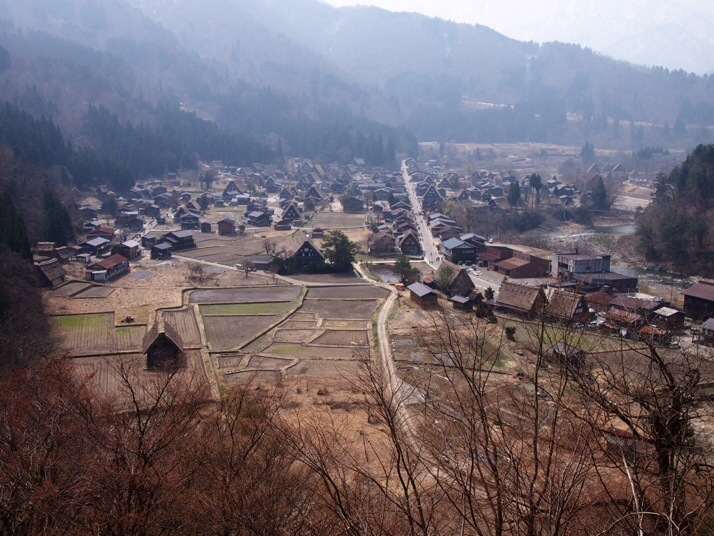 This entry was posted in Places and tagged Japan, Shirakawago on May 27, 2014 by Julie.